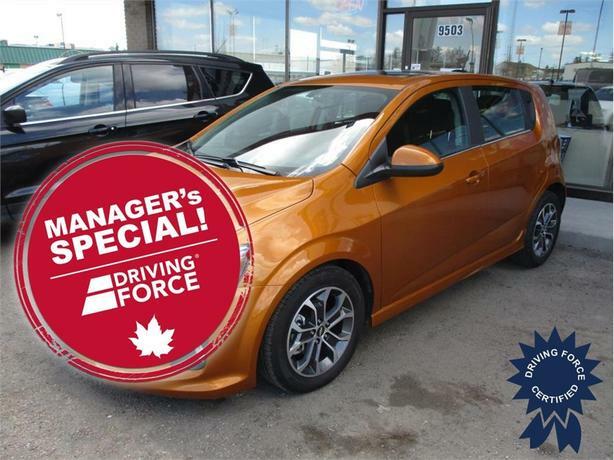 Its got a sharp metallic orange sheen to it, and it certainly looks like a bundle of fun to drive. It comes with an ECOTEC Turbo 1.4-litre gas engine, 6-speed automatic transmission, keyless start, 6-way power driver adjustable seats, deluxe cloth seat trim, fog lamps, and Bluetooth for phone connectivity. Come take this one for a spin.